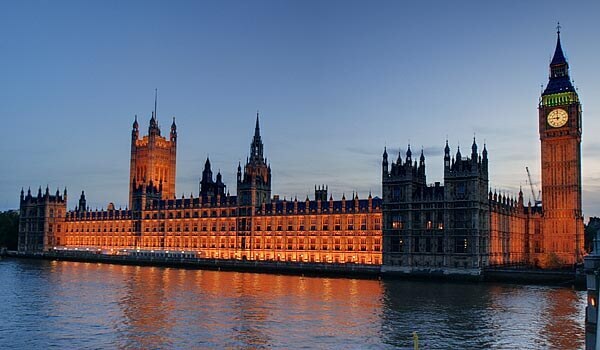 The palace of Westminster, more famously known as the British Houses of Parliament is one of the most iconic buildings in England. Built during the reign of Queen Victoria the palace is the centre piece of London and a classic example of the Gothic Victorian architecture of the time. To the north end of the palace is the 100 meter tall Big Ben and to the south, the Victoria Tower to commemorate the monarch at the time. Beside the Palace of Westminster is the Westminster Abbey. The seat of the English government and lords, parliamentary decisions take place deep in this 1,200 room labyrinth, each more beautiful than the last. With such a large palace, it's worth having a tour. They cost around £10 a person and are definitely worth it. If you're planning your London trip in autumn be sure to visit in early November where you may be privileged enough to see the grand opening of Parliament and even get a glance at the Queen! Last updated by Mike on 23 June, 2011 in Destinations.